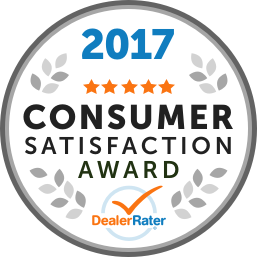 215 Reviews of Rocky Mountain Dodge Chrysler Jeep Ltd.
"SERVICE DEPT IS FIRST CLASS !!" I needed the transfer case removed and inspected in my 2008 Dodge 2500 4x4, also needed both universal joints changed in rear driveshaft, and both airbags replaced as per factory recall. All the work was completed on schedule, exactly as I requested, and for LESS than the written estimate I was given. An honest shop, with experienced Service Mgr's and technicians. I Highly recommend. Randy H.
I waited over 3 hours for tires to be changed. Ridiculous and there’s so mabg people working here they should help out in the shop. "Sales and service meet here"
Bought two trucks within a little over a year at this dealership, Arthur in sales is a great guy who listens to what the customer wants and doesn't try to 'up sell'. Arthur contacted me after the sale to answer any questions or concerns I might have, which is not to common anymore. The service department is top notch also, these guys/gals don't fuss around they get it done. the staff went out of the way to help. All of the staff cooperated to make the deal happen. Kerry Saunders was well informed and polite and went all the to Withrow to show me the vehicle. Management also made the best deal possible to include extended warrenty into the financing. I would recommend Kerry and team anyday. I recently bought a used truck off this dealership. I would never recommend anybody buying from this dealer. If it wasn’t for the truck that was used I would’ve walked away from this deal. Run around after run around I got. Truck was guaranteed to be ready. But it wasn’t a day later I had to come and get it. They went so far as to take the jack out of the truck. I had less than an eighth of a tank of fuel when I picked it up they would not put any fuel in it. It wasn’t cleaned properly for pick up I was told they don’t know I was coming But yet it was supposed to be ready a day before a phone call that they made to me when I asked if I bring it back to get it cleaned they kept complaining about there’s no money. Yet the owner drove away in a Porsche. They couldn’t even put a keychain on the keys they are the cheapest dealership ever. They have no consideration for their customers they only care about themselves. Buying a vehicle is a big commitment and this dealership made this experience the worst ever. The only excitement and enjoyment I got from this purchase is knowing that I will never have to go back there again. The sales manager thought he was funny the owner was rude they want to give me my money back. I think they had it sold to somebody else for more. That’s why I feel they try to make this sale so difficult I would back out. I would never recommend This dealership Rocky Mountain house Dodge to anybody there are plenty of good people selling good vehicles out there I didn’t meet anybody at this dealership that meet that criteria. They had a good truck and that is why I bought there. "Warranty service not honoured. " Took my new 2018 Dodge Ram to have powertrain control module inspected as per recall and had oil change package completed. Asked for the brakes to be checked as there has been grinding noise coming during slow starts and stops; technician claimed it was rock found between rear rotor and backing plate. Claimed no more noise after test drive. Upon leaving dealership on way home one hour away came to slow stop then start and heardnoise still there. No resolution except bring it back; charged me for a rock that I say was not part of the problem. Too bad for me! Actually too bad for them because I will never bring my vehicle back there agajn; glad I never purchased my truck from the either. Kerry was pleasant to deal with and very helpful. The finance department was well organized, helpful and transparent. Ben and Paul were also very helpful in getting me on the road in a very timely fashion. All in all an excellent buying experience. I would highly recommend the whole time at Rocky Mountain Dodge and would certainly consider them for any future vehicle purchases! "Sales team was good to deal with." Kerry was nice to deal with the management and finance dept was good to negotiate with and the truck is in fantastic shape, as advertised. 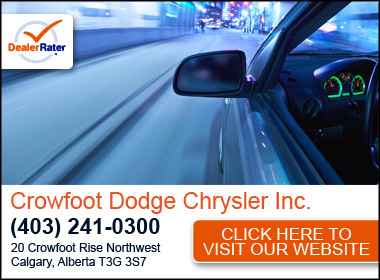 Map and Directions to Rocky Mountain Dodge Chrysler Jeep Ltd.